The following MBW blog comes from LiHui Shen (pictured), who founded Modern Sky Entertainment in 1997. Today, 20 years on, the group’s label, Modern Sky Records, is the largest independent record company in China, having released more than 200 albums across 40 artists. Modern Sky Entertainment is also the largest festival operator in the market, owning several brands including Strawberry Music Festival – the biggest event in China of its kind – as well as Modern Sky Festival, Greenfest Music Festival, 500 KM Music Festival Kunming and other large-scale outdoor music events. An artist and producer in his own right, LiHui Shen also runs Modern Sky Now, an online live streaming platform, as well as Modern Sky Lab – a live venue brand in Beijing, Shanghai and Kunming. 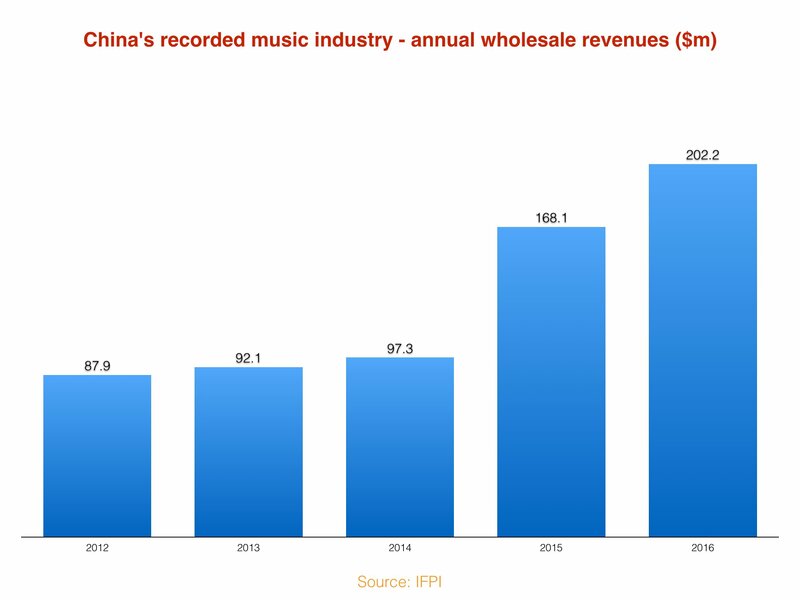 The Chinese music business is set to explode. Many executives across the US, UK and Europe look east and rightfully tip the Asian continent as the next great land of opportunity. It’s a perception that is very welcome in Modern Sky’s home territory, especially since China has, until recently, been compared to the wild west as far as copyright protection is concerned. Because of China’s political history, the idea of copyright as other societies might recognise it simply didn’t exist. The transition to a system of IP protection that can be integrated with the rest of the world is still ongoing and it’s a long and arduous process, because it requires widespread change – commercially, economically, culturally and philosophically. Apart from making sure the right systems and infrastructure are in place (there’s still work to be done to make sure songwriters are adequately remunerated by traditional forms of media such as television and radio, for example), there’s the challenge of changing the mentality of an entire population. If something’s been free forever, how do you convince people they should pay for it? That’s certainly a question that persists within the older demographic of China’s 1.2 billion population, and indeed the older executives at the top of certain established companies, but there has been a change in the way our nation sees itself that has ushered change and will continue to move things in the right direction. Today China identifies as an innovator on the world stage. It is keen to export its own products, technology and culture to the west. Of course, in order to do that effectively, we need robust recognition of intellectual property, not just to ensure that China’s exports are protected but to make sure the west is willing to work with us on a commercial basis. It’s vital if China is going to compete in the 21st Century. And while the very basic, ground level problem of persuading individuals to pay for IP may still exist to a large extent among the older generation in China, I’m happy to report that the Chinese youth are far more willing – and the size and power of that demographic has swelled over the past 15 years. Modern Sky estimates that there are around 365 million people in China that will happily buy into culture and entertainment – young people that have newly disposable income to spend on leisure. It may not be the entire 1.2 billion population, but it’s still the equivalent of the entire USA buying into music. Imagine that. How can western music companies tap into this enormous market? The key is working with partners who understand the territory and can make things happen. The live sector in China, for example, is flourishing, with plenty of big festivals, venues and opportunities for touring. Modern Sky has seen success on that front as China’s largest promoter, presenting over 15 Strawberry Music Festivals every year in China – but many companies still aren’t equipped to make the most of the live world. More broadly speaking, young people in China have been exposed to western culture like never before in recent years. They are adopting the subcultures, musical scenes and catalogues of work from decades gone by as new experiences. As a result the Chinese youth are creating their own art in reciprocation, embracing western philosophies and adding their own twist. That in itself is an exciting prospect, but Chinese language music is still only likely to appeal to the Chinese market. Modern Sky believes there’s another opportunity if we find ways for Chinese artists to collaborate with artists in the west. Working together in co-writing and performance will benefit from the connection each side has with their native audiences. Hence why Modern Sky has a US office and a European operation, based in the UK, alongside its China HQ.